Becoming a mama does not mean that your coolness and style goes away! During the first year, I was on a journey to learning all about motherhood that I neglected this aspect of myself. The other day my husband reminded me of this. He said that before I had my daughter, I was all about clothes, shoes, and accessories. My priority shifted once I had my daughter and all my efforts were invested in her. My daughter is two already and I want to invest the same time in my own style. I get so creative picking out outfits and styling my daughter’s looks. It is time for this mama to start doing the same and feeling better about myself! 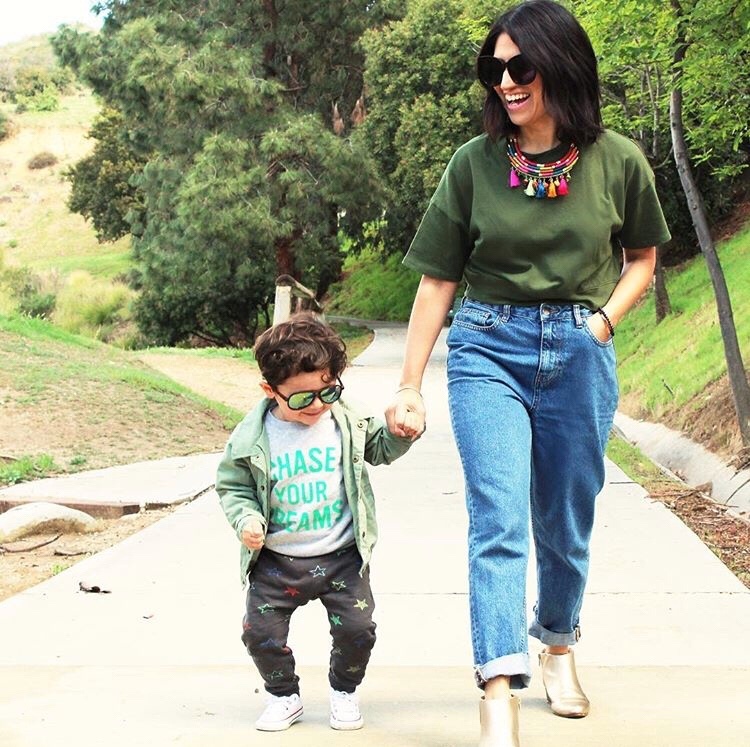 To get started on your own journey to looking fabulous as a mama, here are some tips from fashionista, Maria, from Fashionseekers14. I love the bold statements she makes with her outfits. She is trendy, modern, and chic. She is one fabulous mama! Check out her 5 fashion tips. Incorporating color in your outfit can automatically brighten your day and give you overall confidence! Try adding a Pop of Color with a bright shoe, earrings, bag or a bright lip! I promise you it will make you feel good. Basics are great stand alone or layering pieces. My favorite is a basic white crew neck t- shirt. A crew neck t-shirt is great to wear alone or to layer underneath a spaghetti strap top or dress. It’s also great for big statement necklaces. 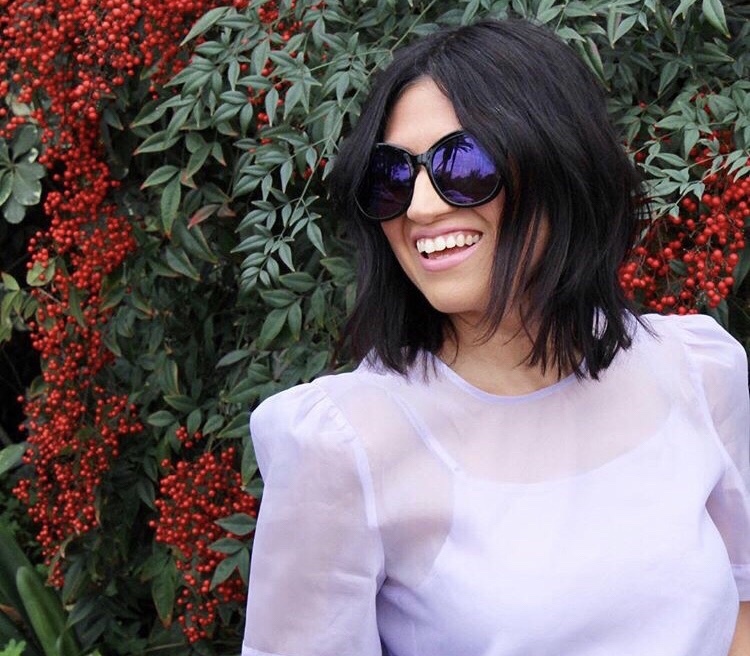 You can find great basics at Target, Forever 21, and H&M. As Moms, we look for easy and comfortable outfits. So of course we reach for our jeans! But did you know that what you choose to wear reflects your current mood? Research shows that women who throw on a pair of jeans without giving it much thought tend to be more depressed. Something about throwing on a dress can make you feel beautiful. The happier we are, the more aware we are of how we look and feel. Try wearing high-waist pants, trousers, shorts and skirts. Low-waist pants can cause our mommy muffin tops to bulge out. High-Waist pieces elongate the body and hide our extra skin in the mid stomach area. You’ll be surprised how much thinner you will look! Also, this summer go for the high-waist swimsuit. If you find the right swimsuit you can look 10 pounds lighter! Who doesn’t want that? A nice tan can make you look slimmer and toned instantly! Summer is around the corner. Adding the right tanning lotion daily can start building that summer glow without the sunburn. Try lotions like “Jergens Natural Glow Daily”. This is also a firming lotion that will tighten the skin. If you want more color try Loreal Sublime Bronze. And one last tip, if you want to add last minute color to your legs try Sally Hansen Air Brush Legs. This stuff is incredible! It will give your legs automatic color and shimmer! For more fashion tips, follow Fashionseekers14. Also, visit her online boutique. Thank you for allowing me to be a part of this!! I love helping other moms feel good about themselves!I know it’s hard mamas! But don’t loose yourself! Self care is so inportant! You will feel so much better once you make an effort to look amazing everyday! And our hubbies won’t mind it too! 😜 please reach out to me if you need some motivation or inspiration! And Great job on this series mama! Thank you so much! You got so many positive comments and feedback. There is an interest for mamas in this area.